I learned of this clever book at a trauma training session at the American Counseling Association (ACA) conference in San Francisco. The training’s focus was about integrating treatment of the body into therapy for post-traumatic stress, with the title being, “You can’t treat the mind without the body.”As a trauma-focused therapist, I have studied the ways in which the brain makes connections in the nervous system during traumatic events. These connections become pathways that can be triggered over and over again, producing the same results and sensations, until they are interrupted and redirected. For example, a survivor of a violent crime may meet someone who reminds them of the perpetrator and suddenly feel short of breath, nauseous, or even experience a flashback. These pathways can travel in the opposite direction, as well. That person may feel short of breath for an unrelated reason and suddenly find themselves bombarded with disturbing images of the traumatic event. We have long thought that just discussing and analyzing traumatic events was sufficient for trauma therapy. Now, we know that this is only partially effective because we are only treating part of the problem. Think of it like this: you have a knot in your muscle in your back that has created tightness and pain in your neck, lower back, and arm. You massage the knot out, but do not touch the network of other muscles that have become sore along the way. Soon enough, those other muscles begin to tighten more and more and suddenly the knot is back and you are completely sore again. We now know that good trauma therapy targets every part of that pathway. It respects the way the brain stores information – not just visual memories in the brain, but sensation memories in the body. Trauma survivors often have tight muscles, closed body language, and shallow breathing. No amount of talking will solve this. As trauma survivors learn to become aware of their body sensations and loosen and dissolve these muscle memories, they begin to take back their bodies and take back their lives. When people hear of mindfulness they often think it is too complicated or too intense to try. We are bombarded by messages of what we should be doing, the days-long meditation retreats we should be attending. In an all-or-nothing culture, it can be difficult to remember that a little often goes a long way. A five-minute daily mindfulness exercise can bring you greater peace, awareness, and patience. 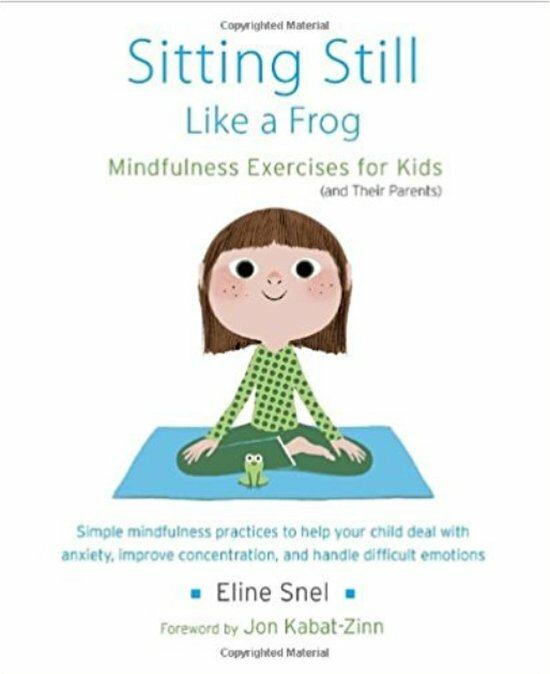 This is what I love so much about Sitting Still Like a Frog. Because it was designed for children, this book does not take itself too seriously. It contains 10 mindfulness exercises on an audio CD designed to help you calm down and tune in quickly and easily. This no pressure approach is perfect because the last thing we need is to be hard on ourselves. Unfortunately, those who need the most self-compassion are often the most self-critical and the litany of self-help exercises we often do “wrong” only serve to make us feel further defeated. 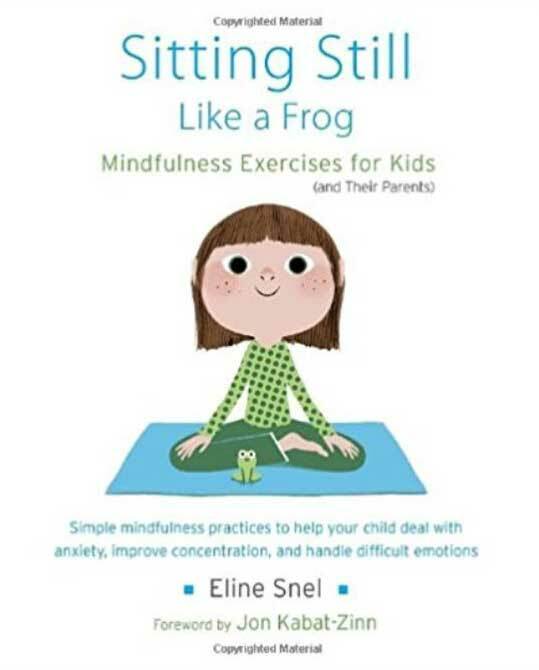 Sitting Still Like a Frog is an easy, compassionate approach to mindfulness that is useful for children, parents, and people who are becoming in touch with their bodies for the first time in a long time, or the first time ever. It effectively turns something big and challenging into something small and easy.